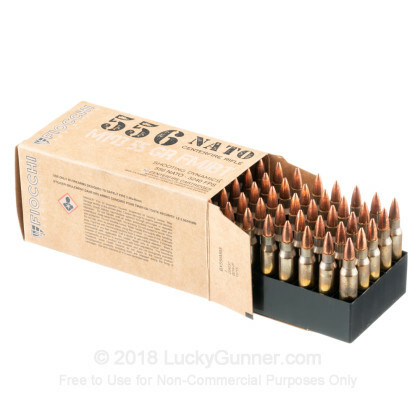 This 5.56x45 cartridge by Fiocchi will keep your AR-15 nice and happy for a couple magazines worth of high octane shooting. The round’s factory fresh brass casing, super responsive Boxer primer, and clean burning propellant all evince the Italians’ love for fine engineering. Even so, this round was very probably manufactured in Missouri (Fiocchi typically only imports from their headquarters in Italy when their American production can’t keep up with demand here), so you’ll still be satisfyingly buying American. 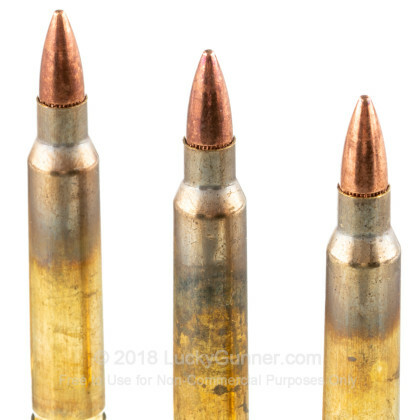 This M193 round is the plain Jane variety of 5.56 NATO, not to be confused with the luminescent M856 or the rather ineffective for target practice M200. 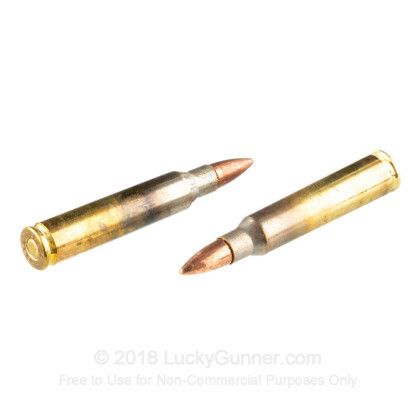 As such this round’s 55 grain projectile dons a full metal jacket, and will accordingly penetrate conventional targets without issue and spare your bore from excessive lead fouling as well. Don’t fire this round from a rifle only rated for 223 Rem! Your rifle will be awfully sore at you if you do. 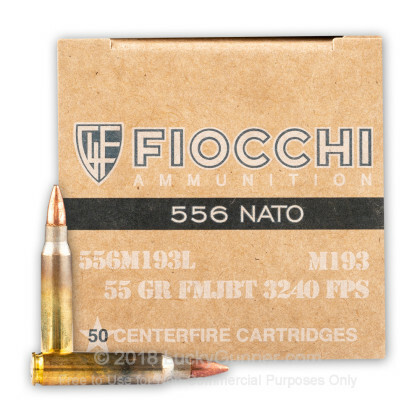 We don't have any reviews yet for this particular 5.56x45mm ammo from Fiocchi. 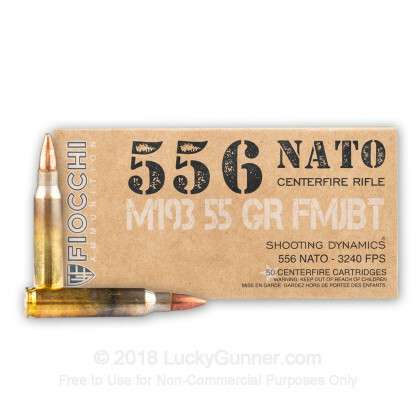 If you'd like to be the first to review this particular 5.56x45mm ammo from Fiocchi, fill out the form below. 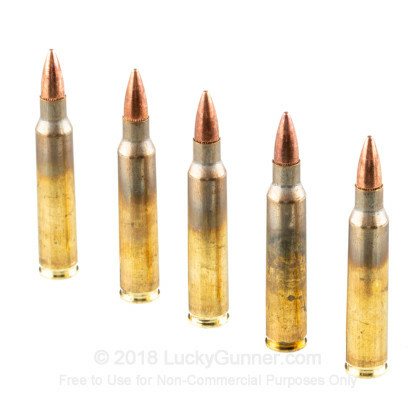 We also have this 5.56x45mm - 55 Grain FMJBT M193 - Fiocchi - 1000 Rounds ammo in stock in a bigger quantity.